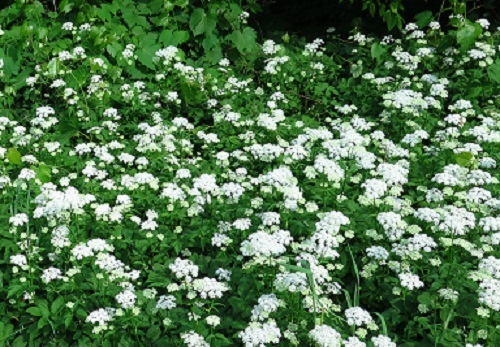 Habitat: Hedges, gardens and waste places. 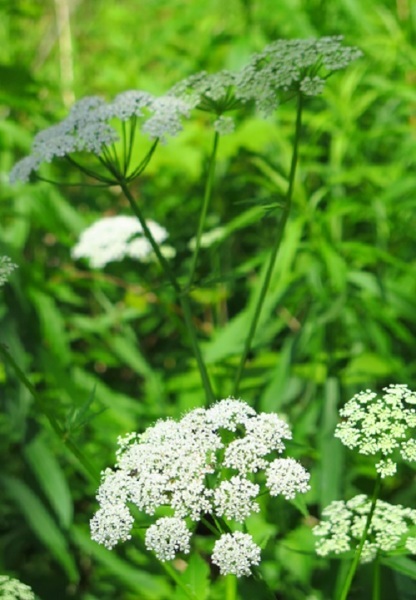 Flowers: tiny, arranged in an umbel (cluster with many stalks attached to one point on the stem). 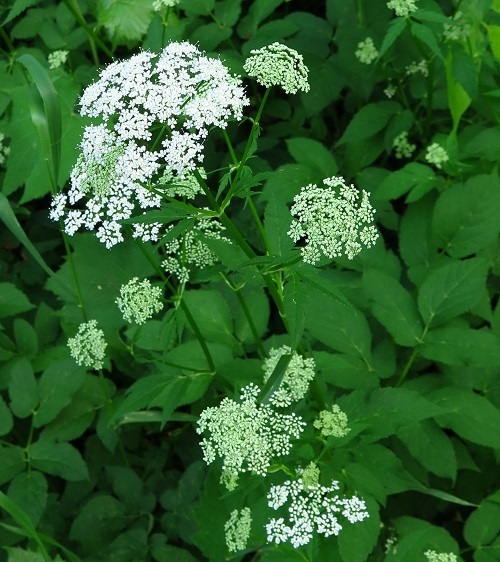 ​Plant reproduces by seeds and also spreads aggressively by rhizomes forming large dense patches.